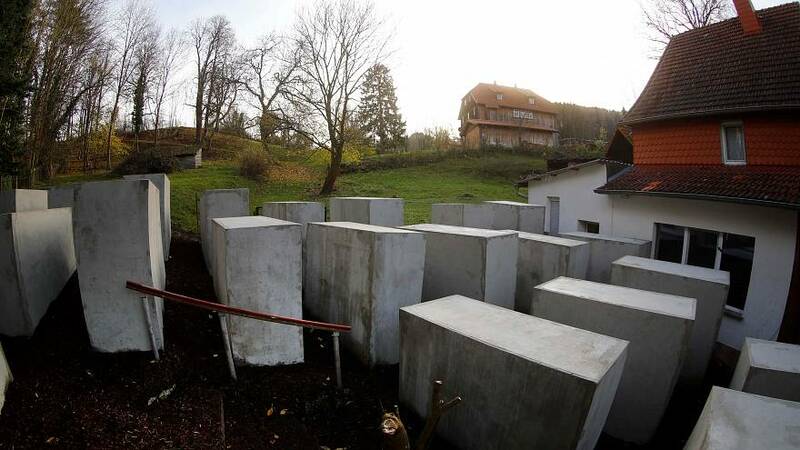 A group of German artists built a “Holocaust memorial” right next to the home of Björn Höcke, a German far-right politician. Höcke, a regional leader of the Alternative for Germany (AfD), gave a controversial speech on January calling for Germans to make a “180-degree turn” away from how it considers World War II history, describing the Berlin Holocaust memorial as a “monument of shame”. The original tribute to the victims of the Holocaust is located in Berlin and consists of 2,711 concrete blocks in different proportions. The replica built by the art collective is made up of 24 cuboids. “Because Höcke is a ‘secret admirer’ of the monument, we’re going to build it right outside the house,” the artists said in a video. The group raised over €40,000 in a crowd-funding campaign to cover the costs for construction and rent of the plot. The activists said they plan to keep the replica’s display for as long as possible or until Höcke publicly drops to his knees and asks for forgiveness at the Berlin memorial. The politician appears to have inspected the replica from afar but has not yet made any comments on whether he will fulfill the conditions demanded.